For gates up to 1,000 lbs. or 45 ft. in length. Recommended for commercial and industrial applications. This is a Ramset RAM 1000 Commercial Slide Gate Operator. Ramset’s best-selling gate operator is built for high-traffic areas. Featuring a continuous-duty direct-drive motor, this reliable and efficiently designed workhorse offers the option of front, center, or rear installation. The unit is constructed with heavy-gauge steel for greater strength and durability, handling gates up to 1,000 lbs. 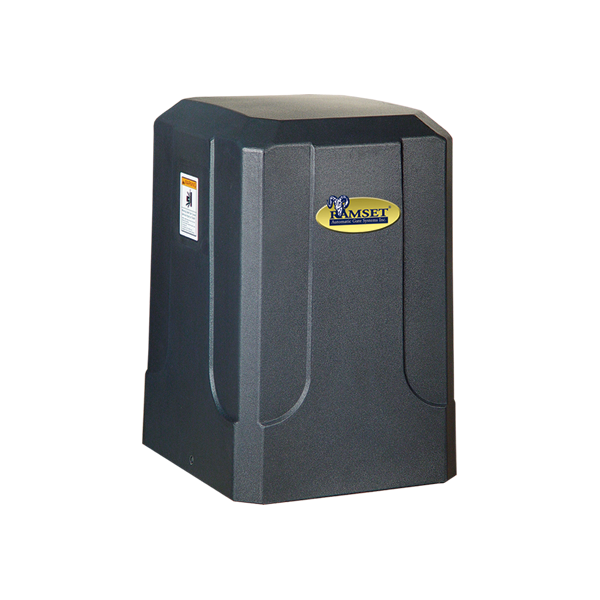 It comes equipped with the foot pedal release safety system for easy manual opening and closing of the gate during power outages and emergencies as well as Whisper Quiet motor operation.